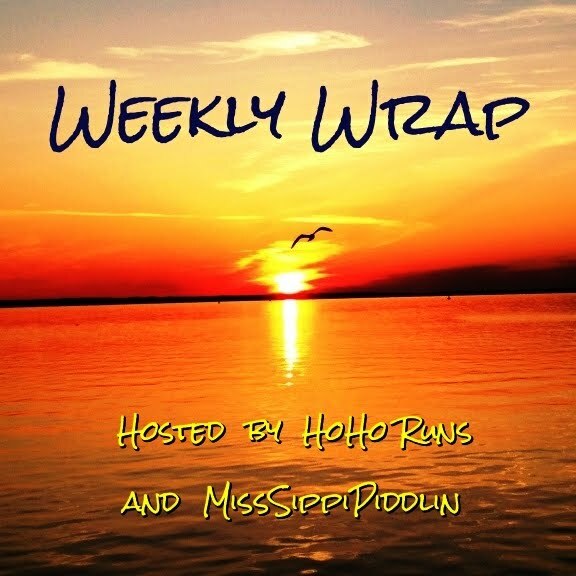 Here we are again for the weekly wrap! Sunday: 10 Miles on the Tread Mill ( which I actually already reported last week). Afterwards I felt like all I did for the rest of the day was eat and snack, and eat, and snack. I know I did burn a lot of calories on that run but geesh, I must have been hungry. I did have a product day though. I watched some of my favorite movies, did some laundry, graded some papers, did house work and put my new Spring door mat and wreath on the door. That was the first time all day I went outside. I was kind of bummed that it was so nice out and I missed it. I could have done my run outside instead of on the TM. Wednesday: Rest. I discovered that Baylee hides in my bathtub when I am not home. When I got home that afternoon I caught her jumping out of the tub knocking over the shampoo bottles. I now know why things are disheveled in my bathroom. Thursday: 3 mile run outside. Funny Story: While I was taking my post run shower, Baylee paid me a visit and decided to jump in the shower. I don't know what is up with her lately. She must be claiming that as HER spot. I can't believe this is it, my last weekend before NYC! To be honest, I'm really not sure how to taper since this is the first half marathon in which I haven't been injured during training. I was thinking about doing 6 miles today but honestly I'm feeling a bit under the weather and just may skip it ( the past few weekends I've done 13.1, 13.1, and 10 miles). I also planned to run one or two other 3 milers sometime during the week before I leave for NYC. Do you think that is good enough? Even though I'm nervous, I'm extremely excited and I'm actually feeling strong. Of course I'm not making any goals for this race because I know there are just too many things out of my control (crowds, hills, weather, nerves, etc). I bought a new outfit this weekend for the race. I wanted something other than my black or grey pants so Scott would have a better chance of spotting me in a crowd. Turns out that I probably won't have an opportunity to test out these clothes before race day so I probably won't wear them. I guess I'll be running in my boring black or grey pants. The temps for the day (so far) are low of 40 and high of 50. Of course during the race I'm sure it will be closer to the 40's than the 50's. I'm still torn on what to wear. Will just a long sleeve running top and a throw away be enough? What would you wear? There probably won't be a Weekly Wrap for next week but I will try to post on IG (@fairytalesnfit) if you care to follow along and show support! This weekend Lacey will also be racing. She's running the Shamrock Marathon. 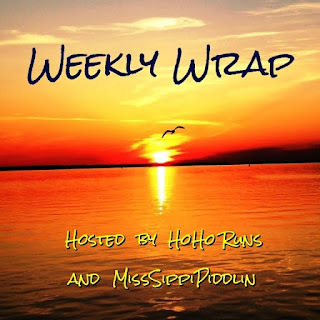 We are linking up with Holly and Tricia for the weekly wrap. I'm glad you are feeling strong! If you're not feeling well, I agree with skipping today! You don't want to get sick. Running a couple shorter runs this week sounds good. Just time it up so the WINTER STORM doesn't mess up your plans. ;) I am thinking no school on Tuesday and Wed, how about you? That is so silly Baylee jumped in the shower with you! I didn't realize that we may not have school. That would be nice. Whatever we get here on the East Coast I hope it is gone by race day on Sunday! I totally think you're fine skipping it! You've done good long mileage and put in the work - go in feeling as rested and charged as possible! You're going to be great and can't wait to hear how it goes. Per usual, I'm off my marathon plan, so we will see how this goes. I love your new outfit! If it were me, I would probably wear it anyway (but I'm a risk taker like that)! You'll probably be okay with the long sleeve as long as it's not too thin. Good luck!!!! I'm still so undecided on what to wear but I know it's going to be something that I already have now! I think you have put in all the hard work and are ready for your race! Im glad you are feeling strong! Thanks Lisa! I hope I AM ready. That outfit has speed written all over it!! Good luck at NY! I think there are a lot of bloggers who are running it! Sadly I won't be wearing that outfit now. I have another race in mind for it though. It sounds like you have a good mileage plan for this week! I would feel comfortable with those long runs. As for how to dress... I always overdress lol. But I would think what you have planned is good with the throwaway jacket! I also usually overdress too. LOL on your dog jumping into the shower with you! I think your plan for the week is solid. You've had a strong training cycle, so you're ready! The new outfit is really cute. Glad the weather is going to be good for you. I think a LS and a throwaway is good for 40 degrees. Good luck and have fun to both of you! I've been stalking the weather and now the temps keep dropping! Baylee in the bathtub is so cute! Your discovery of that reminds me of when we came home shortly after we'd left to discover that Paco was hiding in our closet. Dogs are so funny. Love that new outfit and heck, I'd go ahead and wear it on race day. Go big or go home, right? 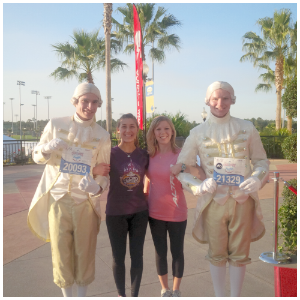 You are so ready for this half marathon! I often wonder what she really does when we are not home. I always imagined that she just lays on the couch all day, perhaps not! Thanks for the vote of confidence Shelley! I wonder if the bathtub feels cool to Baylee and that's why she jumps in during the day? I can assure you neither of mine would jump in while the shower was running though. LOL. It sounds like you've done your work for the half marathon. I wouldn't push it this week. As for those temps, I'd wear a tank and arm sleeves with a skirt. You can always add a throwaway if you are worried you'll be too cool at the start. 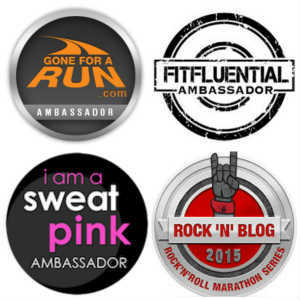 I'm so excited you will be running injury free! Good luck and have fun! Thanks for linking, Meranda. I too am excited to be running injury free but not excited about the changing forecast! I would wear the capris. I wore capris for a half marathon this weekend that started out at 38 degrees and was in the low 40s at the end and I was wishing I had on shorts. I also ran in a tank with arm sleeves and by the end had shed the sleeves. Good luck and hooray for staying injury free! Just a tank and arm sleeves would not be enough for me. I know I would be too cold and the wind would would bother me. Oh, too funny on Baylee camping out in the bathtub! I only plan to run a few miles tomorrow and then a few minutes during OTF on Wednesday. I hope I see you in NYC - I think we're staying in the same hotel. Good luck to Lacey at Shamrock - that race has a great reputation too! That would be nice if we were staying at the same hotel. I'm so excited for you! The NYC Half is almost here and I know you will have such a fun experience! Thank you. I'm sure the experience will be a memorable one! I think you're fine skipping the 6-miler if you're planning on doing a couple of shakeout 3-milers this week. For 40-50 degrees I'd wear shorts and a short sleeved shirt (tank for 50's), but that's just me. I'm always dressed with at least one layer less than everyone else... Those capris are so cute. Can't you take them on a test run on your treadmill so you can wear them in the race? Have fun at the race and good luck! I've done one practice run outside this week so far and will probably have to do another one on the treadmill depending on what this weather does. I don't wear capris on the TM cus my gym room is too warm. I think you'll be just fine with your skipped run and a couple 3-milers this week. It sounds like you've got good mileage under your belt in preparation for the race. I'm sad you won't get to wear your new outfit. It's adorable! You know what they say, try to dress like it's 10+ degrees warmer than it really is. Otherwise, you'll likely overheat. For 40s, I'd like a LS shirt would probably be fine. Of course, I hate the cold and tend to dress a bit warmer than some others. looks like 40's will now be the high instead of the low like originally forecasted. I hope I make the right decision on what to wear. I think that's funny that your dog has claimed the bath tub! I think you'd be ok after running those long runs the past weekends. Hope you have a great race! I ran the NYC Half a couple of years ago and it was awesome! I've read your race recap a few times to prepare! Allie plays in the bath tub, but it's gotta be dry. One drop of water and she's not interested. You've put in so much great training, I think you'll be OK to skip one. If you're feeling under the weather, better to rest up now and feel good on race day. 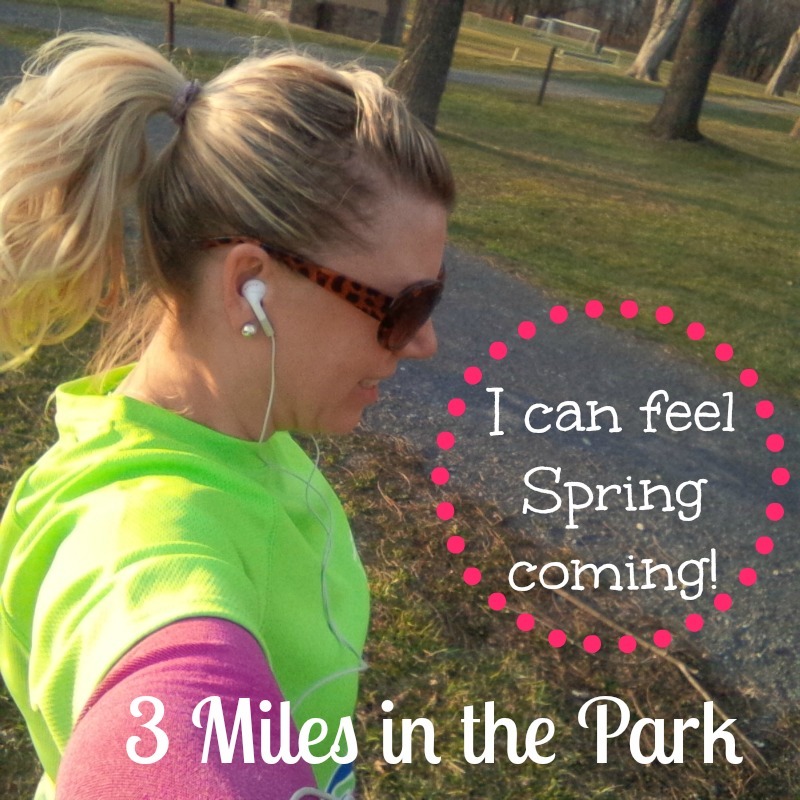 I did end up skipping the long-er run but went for a shakeout run the following day! You got this!! rest if you need, do whatever feels good! line up throw-aways for your race, it looks like it might be a bit cold. But nothing you can't handle! You got this! I don't know Ana, I don't run in the cold....haha. Thanks girl! Either way, you've got this! Hope this crazy winter storm moves on out of NYC before the weekend. 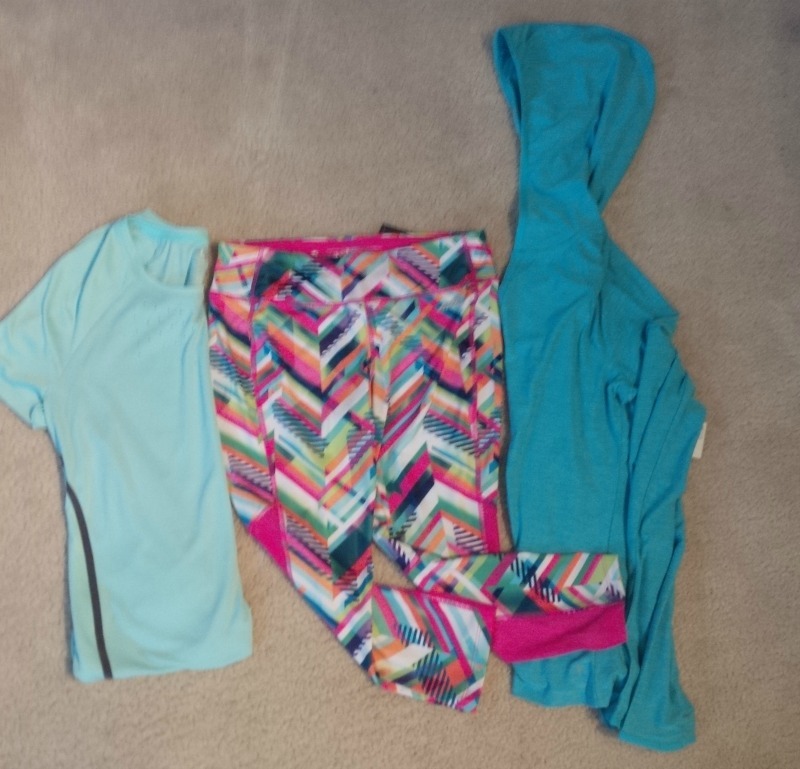 Love those bright capris ...you should take them out for at least a mile or two to try them out! They're too cute not to run the streets of NY in! :) Have fun! I'm loving the capris too but I have another race this spring I might wear them too. good luck on your race! you will do great :) bummer you can't test out your outfit before hand, but I'm the same. No new stuff on race day. very impressed with all your miles on the treadmill. I couldn't do it. We run in KM here so 12 miles is like ... 19KM. The thought of that just makes my muscles spasm! haha!